From the “AMIs” menu in the navigation panel, select the new image and select the “Copy AMI” option in the “Actions” menu. 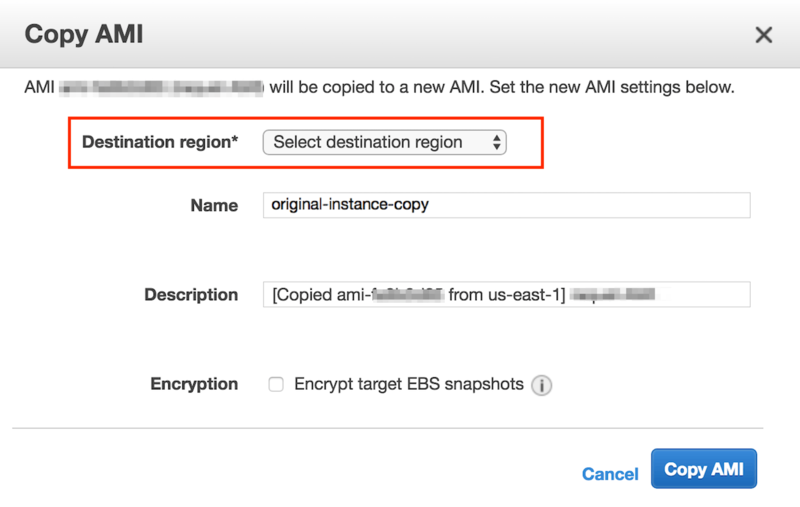 Specify the new region in the resulting dialog window and click the “Copy AMI” button. You will now be able to launch a new instance with the image in the new region.